Odisha refers to a culturally and naturally-rich beautiful state located in eastern India. Odisha was the first state of India that was formed on linguistic basis. We celebrate 1 April every year as Utkala Dibasa. Note- Odisha was previously called "Orissa." The spelling has been changed to "ODISHA" in 2011. 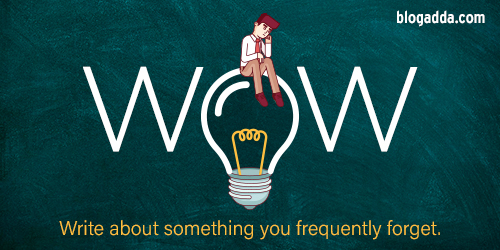 Many are still not aware and continue to use the old spelling. Others have to use the old name i.e. "Orissa" as their company/office's name is yet to be changed viz. "Orissa Minerals Development Company.". Some others cannot change their name viz. 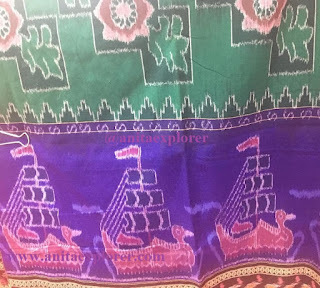 the Geographical Indications (GI) of Odisha that had been filed when the state had its old name; thus - "Orissa Ikat" and "Orissa Pattachitra". Odisha has been known by many names over the centuries- the most famous names being "Kalinga" and "Utkala". More information here. Odia refers to Odia language. #Odisha has skilled weavers who specialize in calligraphy on cloth! Imagine weaving in Odia, Hindi & English! Odia refers to Odisha's literature, food, festivals, songs etc. - anything related to Odisha. Odia also refers to the people of Odisha. If someone asks you, "Are you an Odia? ", they probably want to know if you are born in an Odia family i.e. born to Odia parents. If you answer in the affirmative, they may start conversing with you in Odia language. 1. Some Odias born to Odia father and non-Odia mother know their "mother-tongue" that's not Odia, but a different language. Thinking on broader terms, an Odia is anyone related to Odisha in the past or present; also those who are or who were residing in Odisha. This can be stated by taking into consideration the profiles of members of many "Odia" groups in social media; such groups constitute of people with links with Odisha. If someone asks you, "What are the people of Odisha called? ", please give the correct answer - ODIA. Note- Kindly DO NOT answer- Oriya/Odiya/Oriyan/Orissan/Odissi... as all these are past/incorrect spellings. Odissi refers to the classical dance form of Odisha. Odissi also refers to the classical music of Odisha, mostly used for the dances. More info about Odissi is in the posts- Odissi Dance and Perfect Odissi Odyssey. Humble Request- If you find anyone misspelling the name of our state, language or dance etc., please inform them and ask them to use the correct spellings. 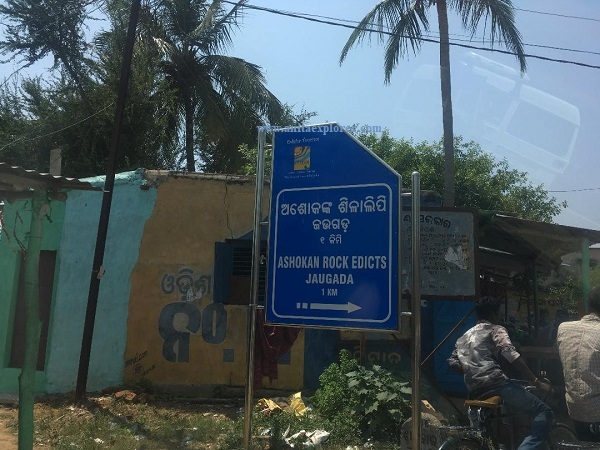 Had you heard about Odisha, Odia and Odissi? What are your views? Do share in the comments below. Odisha, a state in eastern India, has links with many nations. Kalinga's maritime trade is legendary and such memories are celebrated even today every year on Kartik Purnima as Boita Bandana and Bali Jatra. Odisha and Bali connection is also famous. However, Odisha's trade-links with Netherlands and other European nations is not that well known. Few people know about the history un de voc in the region of Bengal, which used to be Odisha (Odisha) and Myanmar (Burma). 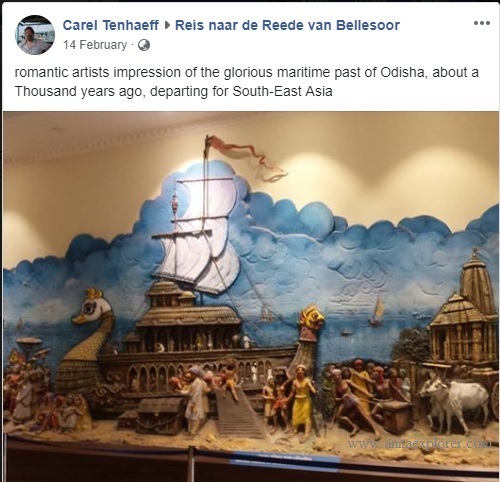 Dr. Carel Tenhaeff, a Dutch sociologist, undertook the journey from Netherlands to Odisha intending to share this unknown piece of history. Odisha, previously called Kalinga, has a rich cultural link with many nations. Dr. Lalatendu Das Mohapatra, Assistant Director of Archives, National Archives, Bhubaneswar spoke on "Maritime Heritage of Odisha" in Bhubaneswar on 29th March, 2019. I attended his talk that was held at Bharatiya Vidya Bhavan. 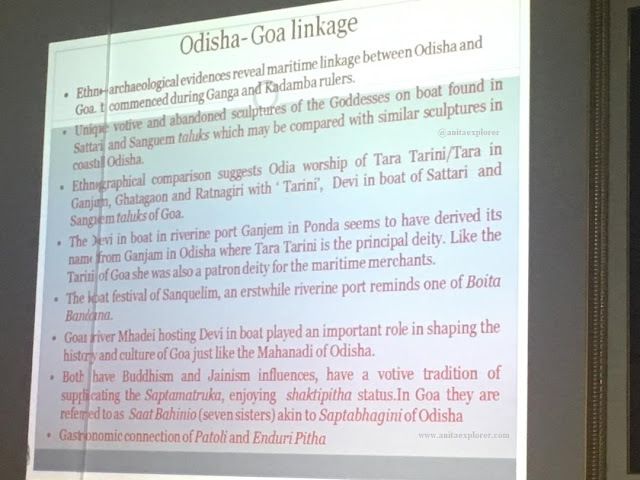 Having done extensive research on the maritime trade and heritage of Odisha, and also having published his PhD thesis as a book, Dr. Das Mohapatra is an authority on this subject. His presentation was very informative. 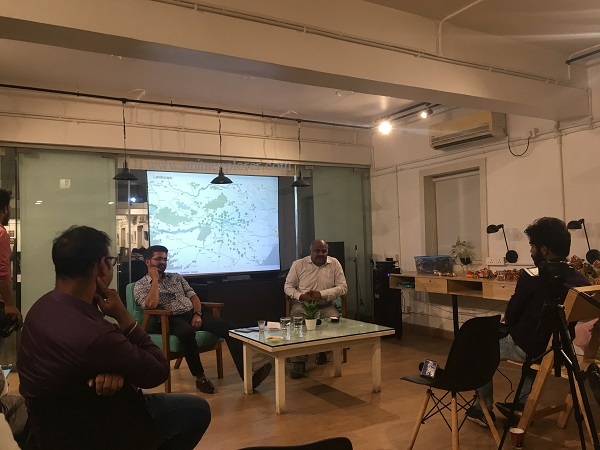 He shared interesting info about Odisha's trade in her glorious past. Apart from doing trade with foreign nations, the adventurous and enterprising Odia merchants ensured local trade too. I never knew that Odisha had such trade-links with Goa. There is cultural resemblance of goddesses, food etc in Goa and Odisha. What makes me forget some wise words? "Keep your head when others are losing theirs"
I wonder why do I forget frequently? Still, why I get caught unaware at times? Why do these words escape my mind? The Lingaraj Temple is a spectacular temple located in the old town area of Bhubaneswar, Odisha, India. The temple stands as a testimony to the amazing expertise, skill and experience of Odia architects and artisans. The Lingaraj Temple was built by three generations of Somavamsi kings. It is believed that the temple's construction was over by 1114 AD when Anantavarman Chodagangadeva was the ruler of Odisha. During a seminar in Bhubaneswar, Odisha, when I was addressing a room full of youth, I asked them, “How many of you have at least one handloom garment in your wardrobe?” I was shocked to see that just a few hands went up. I urged everyone to choose handloom garments the next time they go shopping. 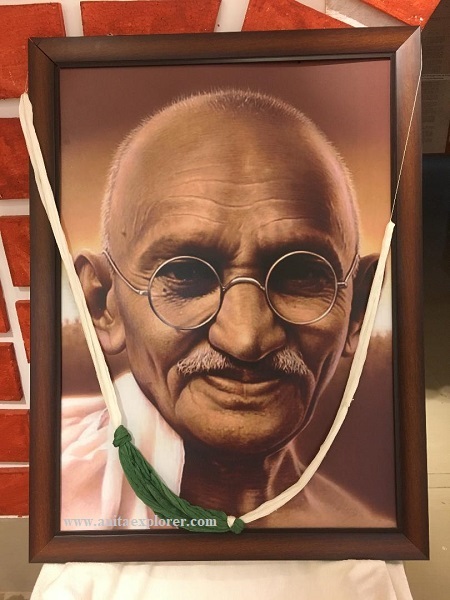 What is stopping us from wearing garments manufactured in India and adopting the ‘swadeshi’ spirit like what our father of the nation, Gandhiji, advocated? Mother and daughter were on their way. The roads looked very familiar to the former. As her heart started beating faster, her daughter said, "Now get ready for a nice surprise!" They were soon in front of a palace. The temple city, Bhubaneswar, the capital of Odisha in India, has many heritage sites that stand as a testimony to faith. Whenever I see the various structures, I am filled with awe. I often feel they stand here to tell their story and to teach us lessons. Who were the skilled craftsmen who created such fabulous works of art? 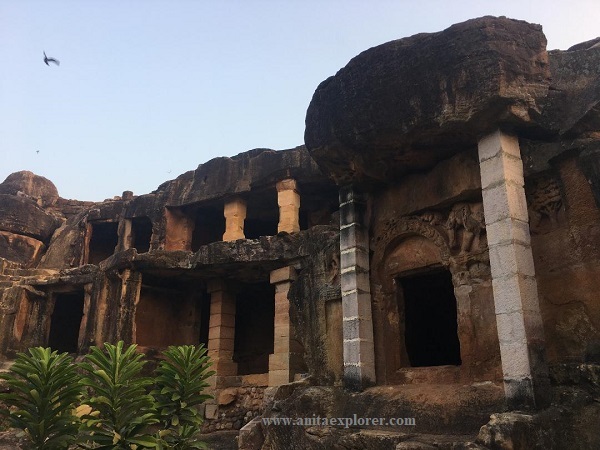 How did they dream of shaping those rocks into fantastic sculptures, caves and monuments that have withstood the ravages of time? Earth Day is celebrated on April 22 every year. The whole idea is to become conscious and take care of our planet. Of course, we must do this every day and not simply dedicate one hour or one day as Earth Hour or Earth Day... Nevertheless, such initiatives are important to create the necessary awareness and action. 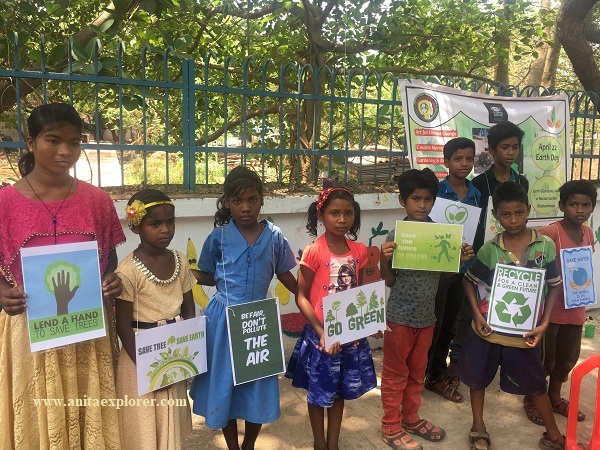 Last year, on April 22 2018, we had a great Earth Day celebration in my locality in Bhubaneswar, Odisha, India. The venue was- 'Amrut Vatika', a garden near IMFA Park, in Sahid-Nagar, Bhubaneswar. This was in collaboration with an NGO named 'Jeevan Rekha Parishad' and 'Kitchen Gardeners Association'. There were posters with 'Go Green' and 'Save Trees' etc. messages that the school students displayed. We were excited to learn about author and historian William Dalrymple's book reading event at Bhubaneswar on 5th April 2019. 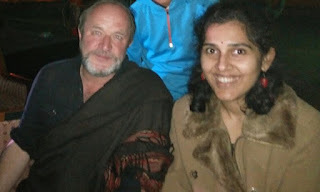 Odisha Tourism has invited William Dalrymple as a guest from April 5-8, 2019. 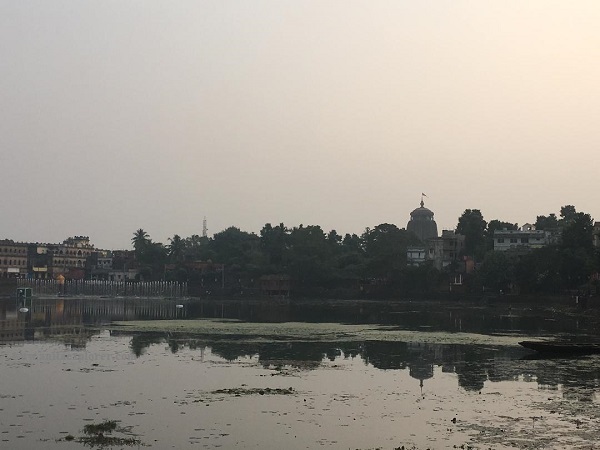 Last year, in January 2018, he was in Bhubaneswar for the Tata Steel Literary Festival. I had a chance to attend it and to speak to him. 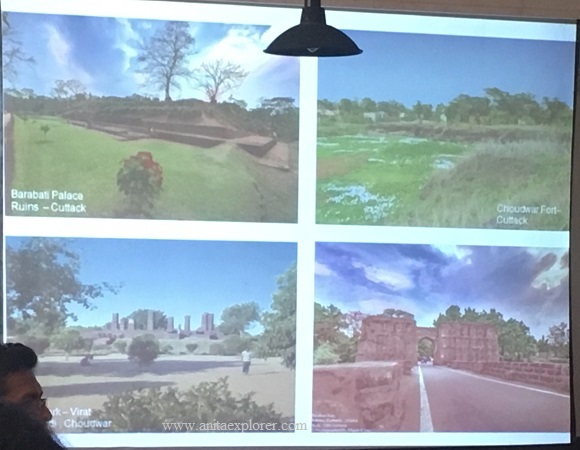 The venue decided for this year's book reading was heritage site Mukteswar Temple, built in 950 AD, famous as the 'gem of Odisha architecture'. When the new bride entered their home after marriage, she was in for scrutiny. The once lush green trees shed all their leaves overnight. Odisha, erstwhile Kalinga, has a rich and ancient cultural and civilizational link with Bali, Indonesia, and other South East Asian nations like Cambodia, Myanmar, Thailand, Malaysia etc. Every year on Kartik Purnima in November, the Odias i.e. the people of Odisha, observe a traditional festival. As per the age-old custom, they float small paper-boats or boats made of other materials with earthen lamps and flowers. The water-bodies of Odisha- rivers, lakes and ponds are filled with hundreds of boats commemorating Odisha’s glorious maritime trade. This is called “Boita Bandana”. April 1st is celebrated as Utkala Dibasa i.e. Odisha Day. Odisha is a state in the eastern part of India that was formed on April 1, 1936. Odisha is blessed with rich natural resources and beauty. 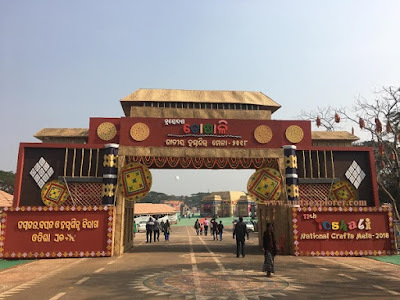 Odisha boasts of many unique products like the Kandhamal Haladi i.e. Kandhamal Turmeric. It is a matter of great pride and joy that on the auspicious occasion of Utkala Dibasa, Kandhamal Haladi has earned India's latest Geographical Indication (GI) tag today. 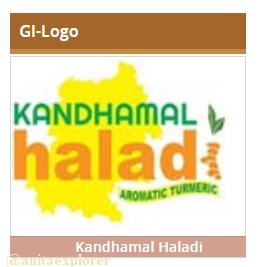 The GI Application for "Kandhamal Haladi" was made by Kandhamal Apex Spices Association for Marketing (KASAM), an association of turmeric farmers of Kandhamal district of Odisha, India. The application was filed on 11th January 2018 by KASAM with the support of the Intellectual Property Rights cell of Central Tool Room & Training Centre (CTTC), Bhubaneswar. Dr. Karthigeyan from CTTC, Ministry of MSME has facilitated GI Application No. 610 in respect of Haladi (Turmeric) falling in Class –30. 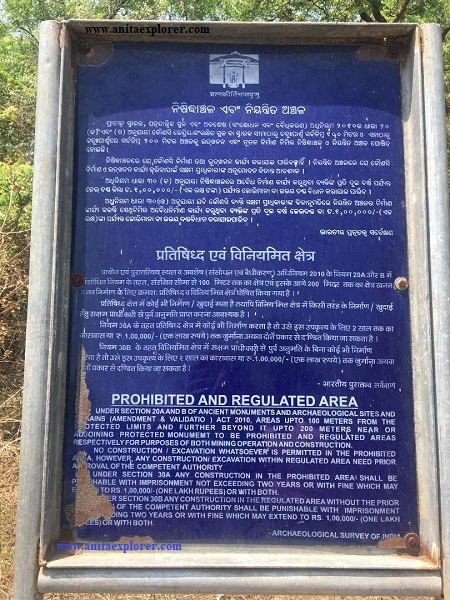 Kandhamal Haladi is now the latest entrant in the list of the GIs of India under the Geographical Indications of Goods (Registration and Protection) Act, 1999.